If you answered- yes, here is something for you to ponder. When you drive you have a destination in mind to reach. It could be your office, school, restaurant, movie place or a friend’s house. When you arrive, you park your car and carry out the activity that you had in mind. Simple? Most of the drivers also own cell phones and a good number of them carry them into their cars. They usually place the device on the passenger seat. Frequently drivers choose to hold their cell phones in their hands to ensure that they don’t miss a ring or a beep. Who knows, it could be an important call or text, or it could also be that irritating telemarketer who just does not give up. I bet majority of the times the call or text is not important enough to warrant an instant response. One could easily ignore such interruptions while driving. But often that does not happen. In the process of picking up the phone the driver gets distracted, causing a crash resulting in serious injury or even fatality. This sad episode was absolutely avoidable and did not have to happen. Here is an observation and a suggestion. We always park our car when not driving. How about parking the cell phone while driving? According to National Highway Traffic Safety Administration (NHTSA), each day in the United States, 9 traffic fatalities and 1,000 injuries occur in crashes that are reported to involve a distracted driver. Data shows that electronic devices like cell phones distract drivers the most, any additional non-driving activities by a driver cumulatively increase cognitive impairment. Did you know that an estimated 542,000 drivers use handheld cell phones during daylight hours raising the risk of distraction and eventually a crash. To mitigate this problem 46 states and District of Columbia ban texting while driving. However, it is challenging to enforce these no-texting laws. It is difficult to catch drivers in the act. To help address this problem, a number of states have instituted laws that ban the use of handheld devices by drivers, but allows bluetooth enabled hands-free phones harnessed to the dashboard. These laws allow drivers to make and receive Bluetooth calls. However, they are not allowed to handle the devices for texting or surfing the web. Law enforcement personnel would find it easier to catch violators. It was very disappointing to see that such a measure not get through the legislation in the last session. But this past weekend, State of Washington passed a Hands-free law that would offer a guide for Minnesota legislators to adapt a similar measure in the next session. The new State of Washington law prohibits drivers from holding cell phones while sitting behind the wheel of a vehicle. 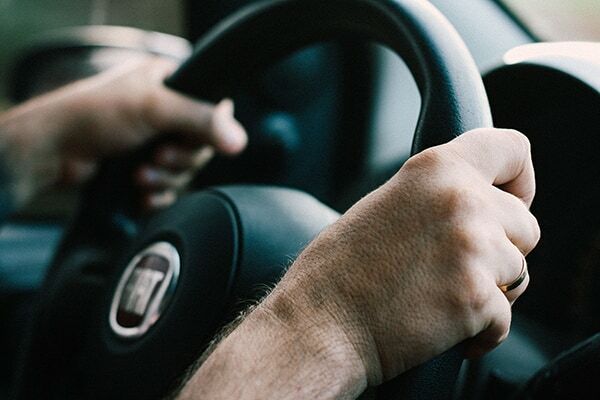 Under the new measure, “the minimal use of a finger” to activate, deactivate, or initiate a function of a personal electronic device while driving is still allowed. 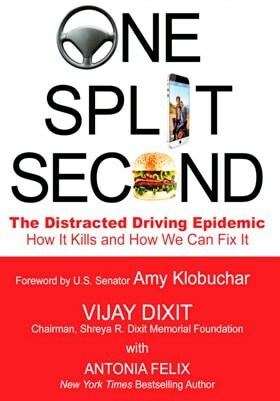 To demonstrate community support for such a legislation in Minnesota, the Shreya R. Dixit Memorial Foundation has invited the authors of last year’s Minnesota bill to the 10th Raksha-Protection Vigil and 5K-Run/Walk for Distraction-free Driving taking place on August 5 at the Purgatory Creek Park in Eden Prairies. Our support will encourage the invited legislators to introduce a modified the bill incorporating the State of Washington learning. The board of the Foundation invites readers to register for the event and support the noble cause of distraction-free driving. Please visit the Foundation website at www.shreyadixit.org for event details and to register. If you are a member of a Running Club or school track team, this will be a good opportunity to help improve your timing. Of course, you will be helping a good cause. In return for your registration you will receive a free technical t-shirt, a CellSlip call/text blocker bag, a handcrafted Raksha band. You will also get the opportunity to win a Vikings signed football or Jersey in a drawing. What are you waiting for? Register at www.shreyadixit.org. I look forward to your input and comments. Please write to me at vijay@shreyadixit.org. I will wait to hear from you.